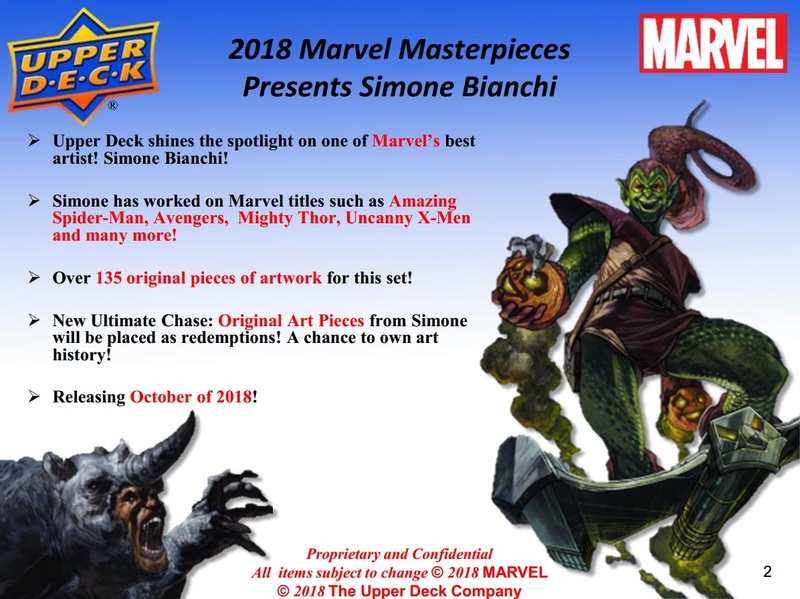 搶先看:2018 Upper Deck Marvel Masterpieces - 球員卡相關消息區 - 育盛球員卡(球星卡)及各類運動討論區 - Powered by Discuz! 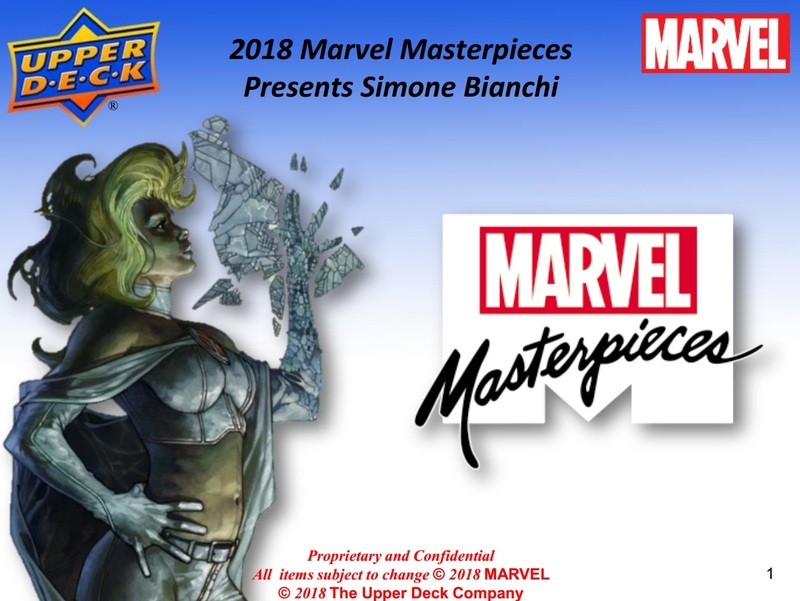 2018 Upper Deck Marvel Masterpieces is a trading card showcase for the talents Simone Bianchi. 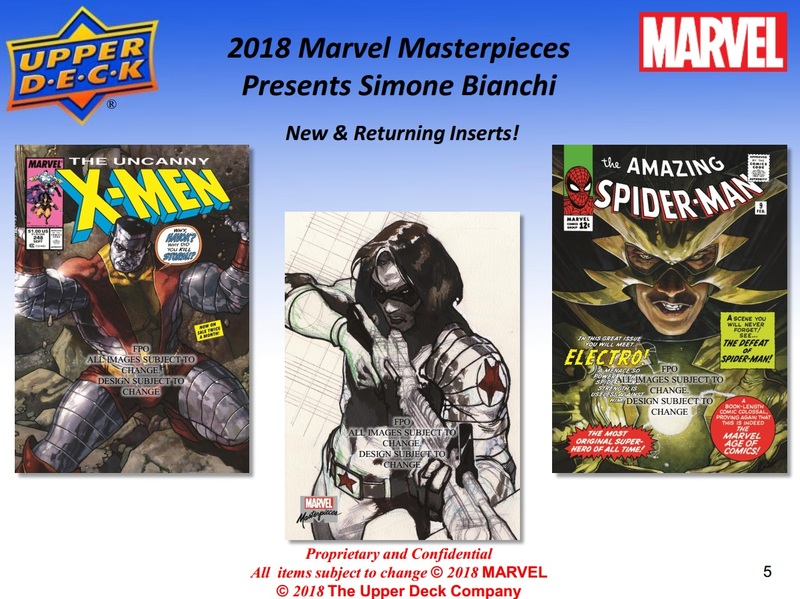 Similar to how the brand’s 2016 reboot focused on Joe Jusko, this time around, Bianchi provides more than 130 new pieces of art for the high-end release. 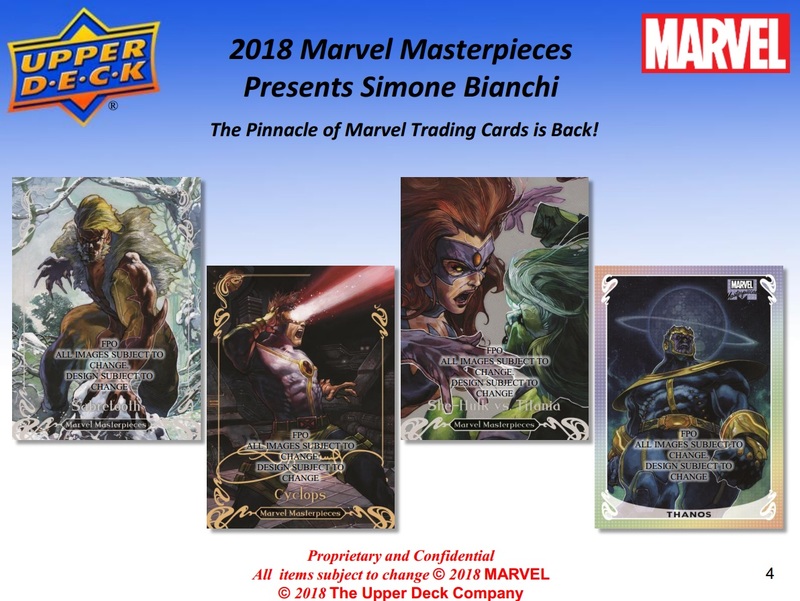 Boxes of 2018 Upper Deck Marvel Masterpieces have a dozen three-card packs. 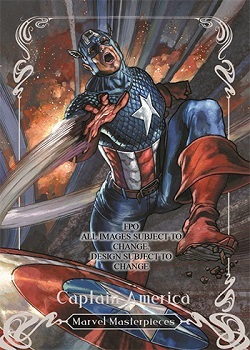 In each pack is one base card plus two parallels or inserts. 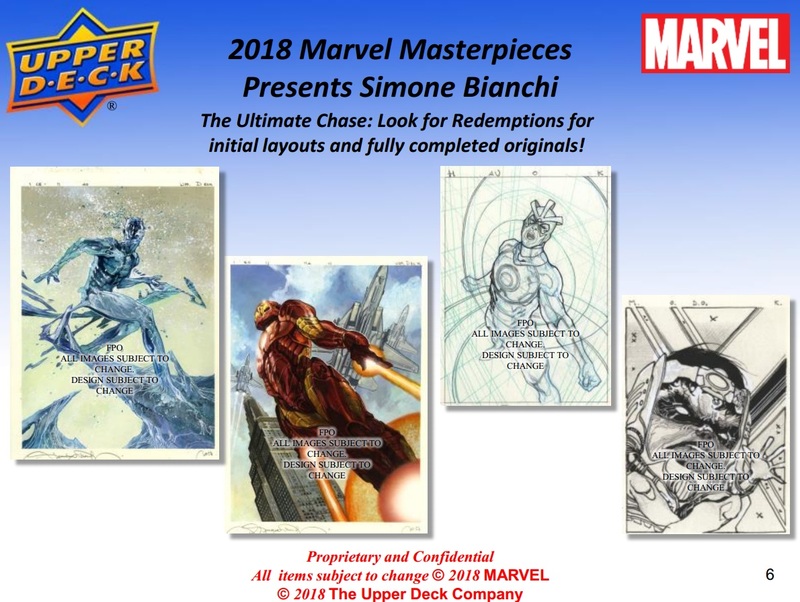 Bianchi lets loose on the heroes, villains and other residents of the Marvel Universe in the base set. 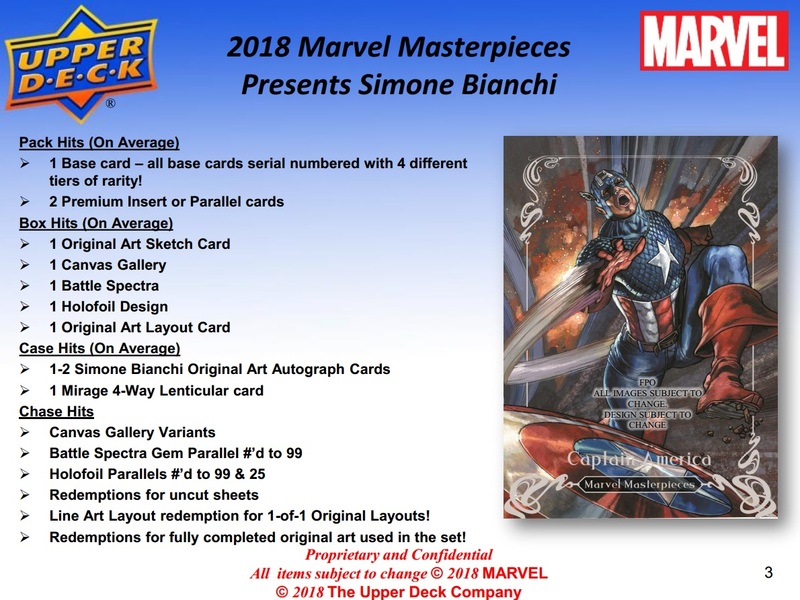 Like 2016, all base cards are serial numbered. Further adding to an already challenging configuration is the fact that there’s a four-tiered structure to the main part of the checklist. 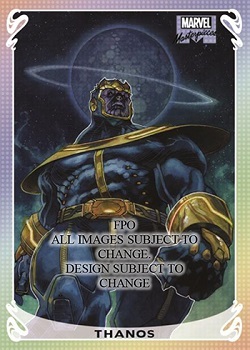 That means that some of the cards are short prints. 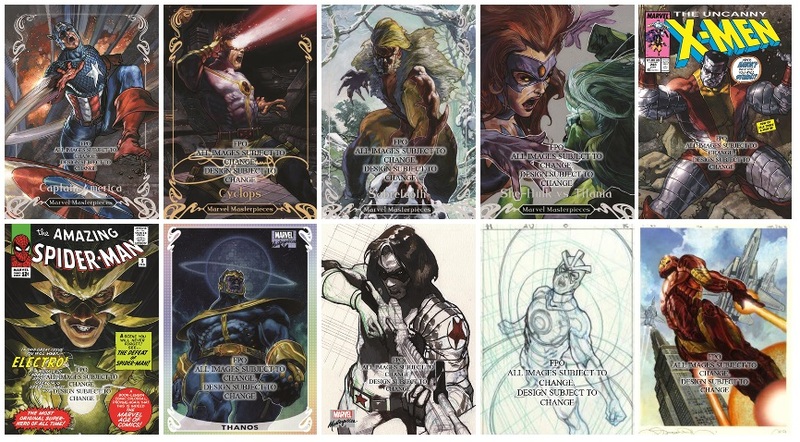 Other one-per-box inserts include Canvas Gallery, Holofoil and Battle Spectra. 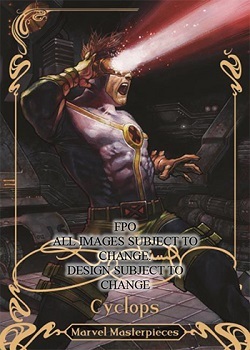 There’s also a Preliminary Art card that shows the early steps of an art piece. 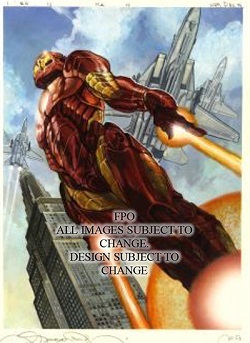 These include artist comments as well to further showcase the process.